We don't know how long they'll last-a few more moments, or a lifetime. But currently, Sofia Richie and Scott Disick are not taking split for an answer. After rumors swirled about the pair breaking up, the controversial couple appear to have Reunited. And from the look of their social media posts, photos and PDA, it feels so good! Sofia Richie cleared up any questions about her relationship with Scott in a heartwarming Instagram post that showed the world just how wrong they are about them splitting up. “Whole heart,” the model captioned a cozy pic of them which she shared on her Instagram page on Tuesday. 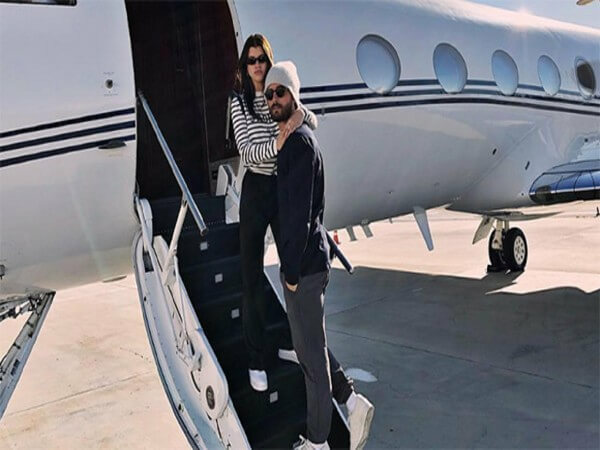 In the photo, Richie can be seen sitting in Disick’s lap on a private plane as he wraps his arms around her in a warm embrace. Yes we get the picture Sofia. It looks like you're still together. Who can miss that. The beautiful model went further to tear down recent rumors. “Never believe the internet,” Richie wrote shortly after in a follow-up post. The 19-year-old daughter of legendary singer Lionel Richie is likely referring to the couple’s brief split after Disick, 35, was unfaithful. According to reports, the serial womanizer cheated on her like he often does to his partners. We can't blame him though. Scott doesn't exactly have a shiny record when it comes to being faithful. Is Scott toxic like Lionel Richie believes? Or is he going to turn over a new leaf for his much younger girlfriend? He has a lot of baggage, a hard partying lifestyle and a poor track record of commitment to the ladies he dates. No matter how it goes, the young Sofia has her work cut out for her.